Silver foil-blocked on 175gsm GF Smith Colorplan. 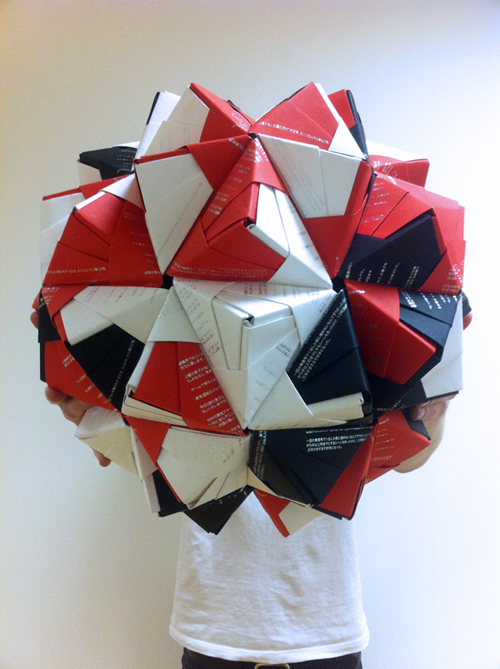 1440 folds. Edition of 1. 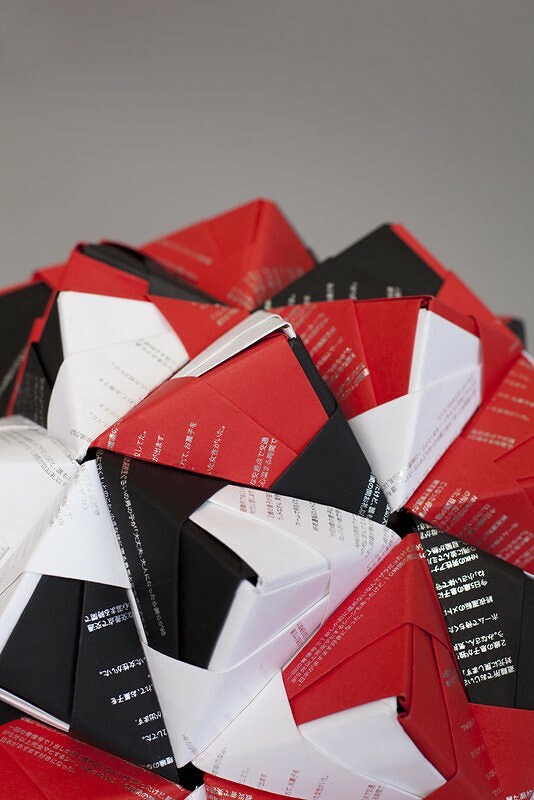 Following an invitation from Ai Heart Japan, Richard Robinson Art Direction and Design and Florian Dussopt Design Studio have been collaborating to create a special art piece for a charity auction raising money for Civic Force Japan. Moving support messages collected online have been selected to be silver foil-blocked onto a range of high quality paper. 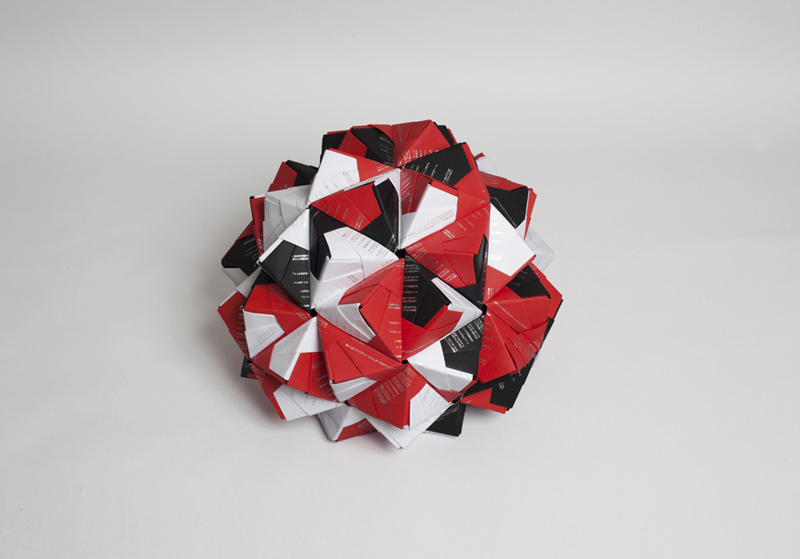 Each single bespoke sheet is then carefully folded to create a module which has been used to create a bigger and more beautiful Modular Origami sculpture.